Letter Printing services - Kaleidoscope Services offers a full line of letter printing, mailing, and parcel shipping services to companies nationwide. We are HIPAA compliant and specialize in printing and mailing letters for the Healthcare industry. Our state-of-the-art equipment and knowledgeable staff will ensure that your job is done exactly as you want it! With our wide range of capabilities we can print everything from high-quantity letters to custom brochures. Our team of professionals will help you to create the perfect customized product. 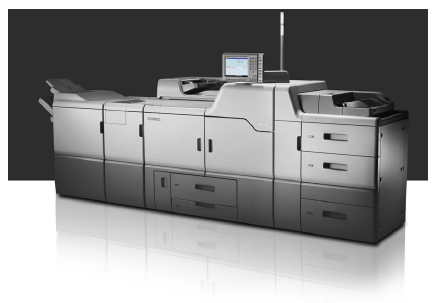 Fast and economical, our digital printers will produce the high-quality results you need. Whether you have electronic or hard copy originals, whether you need 5 or 5,000 copies, our friendly staff will make sure your documents look great! We Make Variable Data Printing As Easy As 1,2,3! 1) You send us electronically your address list or data plus copy material or artwork. 2) We merge them into print files imposed the way you want and send you proof’s electronically for your review. 3) Once you approve we print and mail.